You can get the information you need to make hiring decisions that will reduce your risk, minimize costs, protect your assets and the people who already work for you. Knowing more about your applicant’s criminal, credit and rental history can ensure that you select the right tenants for your property. When you have a personal mission to serve other people, make sure that the people who serve with you are on the same page – know the truth and protect your mission. We are extremely pleased with the service because it is so fast and reliable. Thanks. The ease of entering the information and speed of results make it a painless process to complete our background checks! Fast, accurate, up-to-date information provided by TRAK-1 provides a business with everything needed for timely decision making. 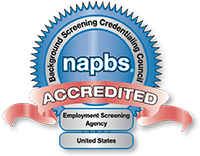 Are You Ready to Unlock the Power of Background Screening?